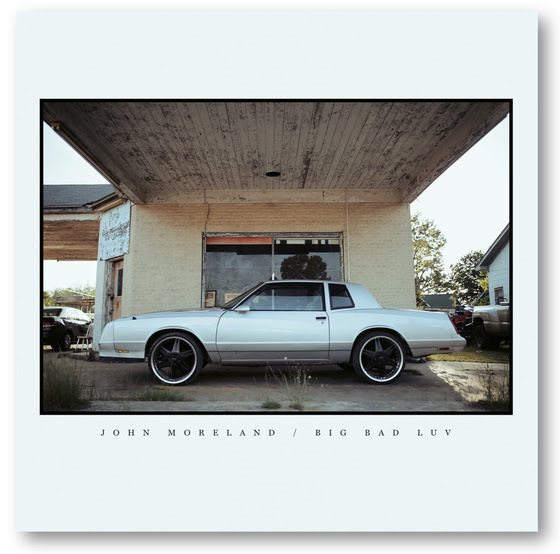 This is the John Moreland album I've been waiting for. I still maintain that Everything the Hard Way is my favorite album, possibly ever, but Big Bad Luv is certainly in a close second (at least in terms of his body of work). But since Moreland's hit it big, he seems to have gravitated to his sadder, quieter work. In the Throes is just brutal to listen to. High on Tulsa Heat brought back the full band, but to me the songs still felt a little airy, perhaps a bit stunned that they had gained national attention. Big Bad Luv upends the trend, bringing back the full band (including John Calvin Abney!) and bringing a solid, heartland rock heart to Moreland's unapologetic soul. Before I sound too much like Channi Nicholas, I'll point out Moreland's measured critique of the American Way as an explanation of his maladjustment. We've seen this from Moreland before, but not on his big albums. I'm glad he's ready to turn his sharp eye away from himself -- it was beginning to be cruel to himself -- and to the world around him. We need his voice to help us make sense of it all, inside and out.